What is a Masonry Retaining Wall? A masonry retaining wall can often be pleasant to look at. A masonry retaining wall is a structure built from materials such as stone which is designed to to hold back dirt, rock, and other materials. The term “masonry” describes a building technique in which blocks of material are stacked and cemented together. These materials can include stone, brick, glass, ceramic, concrete blocks, and so forth. When built well, a masonry retaining wall can be a very strong structure which may also be attractive to look at. Retaining walls are, as the name suggests, designed to retain something. They are often used when people build on unlevel ground to hold back dirt, rock, or even water. Retaining walls often appear in gardens, where they can be used to make raised beds and other structures, and they are also used when the grade of a road is below the grade of the surrounding land, when a house is built on a slope and builders want to prevent landslides, and so forth. A number of different building techniques can be used for a masonry retaining wall, depending on the weight of the materials it is supposed to hold back. A basic gravity retaining wall is simply a straight masonry wall which can hold back a low mound or pile. Other designs can be anchored, cantilevered, buttressed, or supported with piers driven deep into the ground. 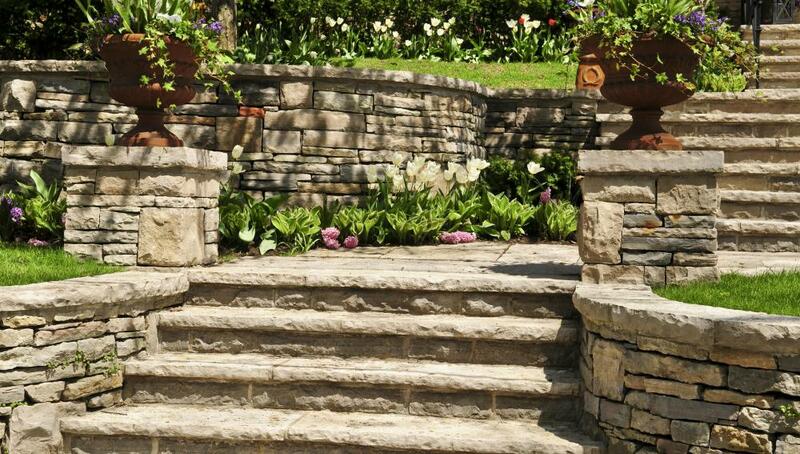 One advantage to a masonry retaining wall is that in addition to fulfilling a function, it can be pleasant to look at. Rocks of various types can be used for more visual interest, and the wall can include a mixture of elements, such as different colored glass blocks, patterned bricks, and so forth. The masonry retaining wall can also have elements such as cast iron finials or rock in contrasting colors for trim, and may be topped with various materials to prevent animals or people from crossing over the wall, if necessary. 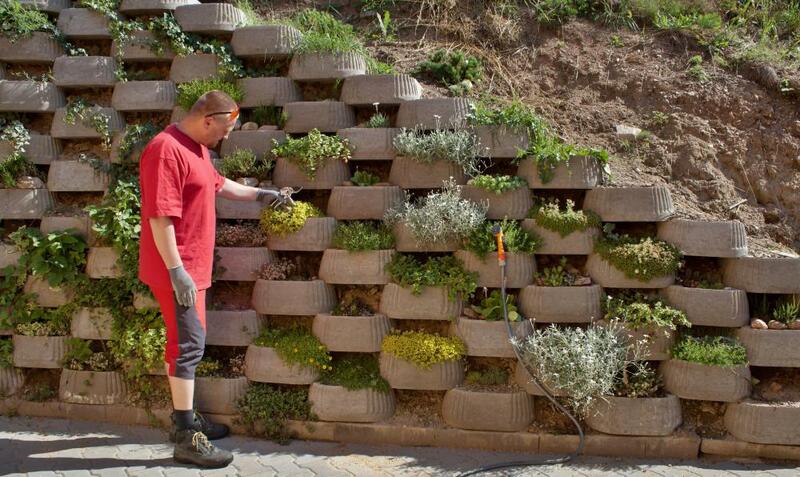 For a low masonry retaining wall, people can usually do the work themselves. They need to start by grading the landscape, trenching the area where the wall is to be laid, and creating a layer of gravel for drainage, to reduce the risk of damage to the wall. Then, masonry units can be carefully stacked and mortared. For taller walls, it is advisable to contact an experienced mason to ensure that the design will be strong. People may also be required to use the services of a contractor or certified professional for walls over a certain height, or walls in particular areas, such as a wall within close proximity to a dwelling. What Does "Back to the Wall" Mean? What is a Ground Joint?